…A Luxury Travel Blog! I am delighted to announce that A Luxury Travel Blog has been declared as a winner at the prestigious TUMI X WIRED Innovation in Travel Awards. 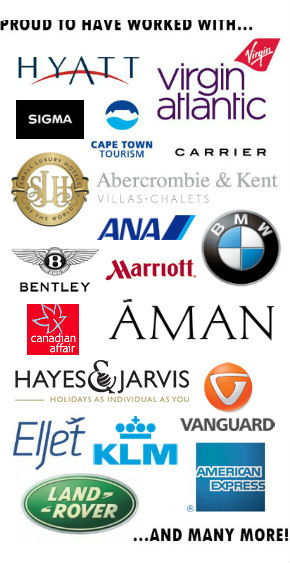 Designed to celebrate the companies, destinations and services delivering unparalleled experiences in the travel sector, the awards are a partnership between the leading luggage and lifestyle brand TUMI and the prestigious technology title WIRED magazine. The winners were announced at TUMI’s flagship store on Regent Street in London and we were in fine company – here is the full list of winners for the six categories covered. Travel is one sector where developments enabled by technology can be seen to have a significant impact on a daily basis, and the first ever WIRED x TUMI Innovation in Travel Awards recognise that. With close to 4,500 votes cast by the readers of WIRED, these awards are part of a wider cross media partnership that encompasses print, online, mobile, social media and in-store promotion. Users were asked to vote for their winners in all categories via a custom hub on the WIRED website. By doing so they were also entered into a prize draw to win a week-long stay in the Banyan Tree, Phuket along witha set of TUMI luggage worth £10,000. A huge ‘thank you’ to all those of you who voted for A Luxury Travel Blog! WIRED is recognised as the multimedia authority on the future, in print and digital. Since launch in 2009, WIRED has won a host of awards including both Magazine of the Year and Technology & Gadget Magazine of the Year at the Digital Magazine Awards 2014, PPA Media Brand of the Year for Consumer Magazines in 2013, the BSME Art Director of the Year for Consumer Magazines in 2013 and the BSME Editor of the Year Award for Special Interest Magazines in 2012. The WIRED enhanced digital edition iPad app was in the top five ranked titles in the consumer magazine lifestyle category at selected by iMonitor in 2013. Since 1975, TUMI has been creating world-class business	and travel essentials, designed to upgrade, uncomplicate, and beautify all aspects of life on the move. Blending flawless functionality with a spirit of ingenuity, we’re committed to empowering journeys as a lifelong partner to movers and makers in pursuit of their passions. Designed in America, for global citizens everywhere, the brand is sold in over 310 stores – from New York to Paris to London and Tokyo, as well as the world’s top department and specialty stores and travel retail in more than 75 countries.